iClick and Host - Reliable webhosting at lowest prices is a perfect place for all Drupal-driven web sites. 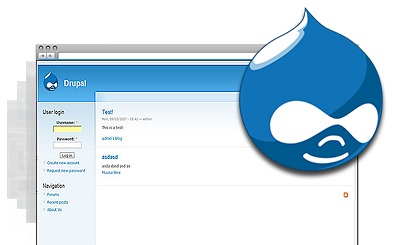 We offer an automated Drupal installation right at signup, high-end servers and a 24/7/365 technical support service. With iClickAndHost, you can order a Drupal web hosting package along with a brand new domain name for as low as $3.99 a month. With us you can host your new eCommerce site in the United States, Europe / United Kingdom or Asia and Australia! Simply select your desired location at checkout. Drupal web hosting made simple with iClick and Host - Reliable webhosting at lowest prices! iClick and Host - Reliable webhosting at lowest prices satisfies all requirements for hosting Drupal-driven sites. iClick and Host - Reliable webhosting at lowest prices offers an excellent technical support service.